Succumb to temptation in a Paradise that invites taboo encounters. Rare and exotic, these delights are divine; fig leaves meet fashion beneath a jungle canopy where Seeds of Desire sprout. Discover Unknown Pleasures with lavishly lush Nail Lacquers and Mattene Lipsticks. Semi-matte lips get ultra-pure colour in a slinky, slither-smooth formula that feels as light on the lips as lust. Trespass tantalizingly with pearlized Paint Pots in shades that create seamless coverage while blending smoothly over the lids. 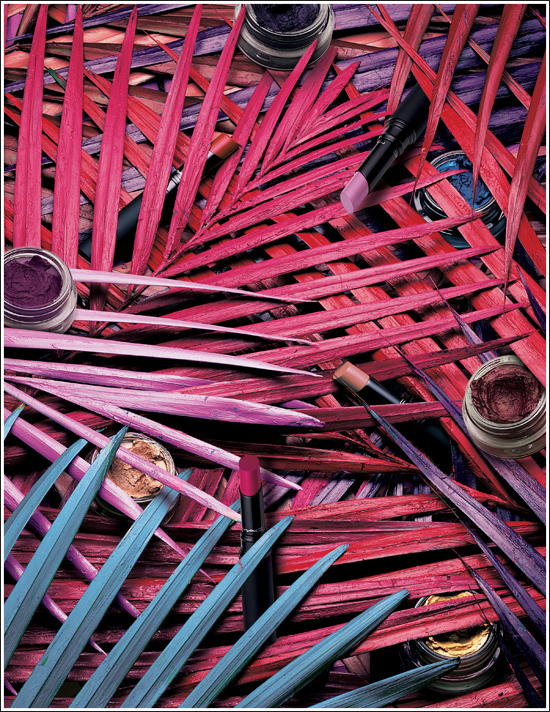 Indulge yourself with a plush, posh and provocative collection of hypnotic hues! 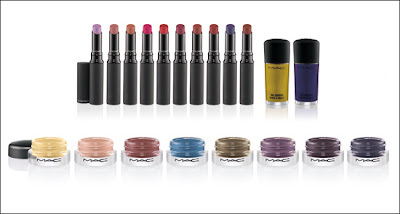 M·A·C Posh Paradise Available September 15, 2011 through November 10, 2011. I love paint pots so I will definitely pick up a few of these from this collection. If you try to order from MAC's website, the majority of the paint pots are already sold out. However, most counters will debut this collection today so you will still have a chance to purchase them.